A panoramic 13-day escorted tour through the Alpine Countries of Switzerland, Germany and Austria. Through mountain passes to lake-side towns, exploring historic capital cities and quaint alpine villages, enjoying local wines and regional dishes, you will experience the best of these beautiful regions. Visit the fascinating village of Oberammergau, where in 1633 the villagers made a pledge to God to save them from the bubonic plague and consequently performed the Passion Play every ten years. 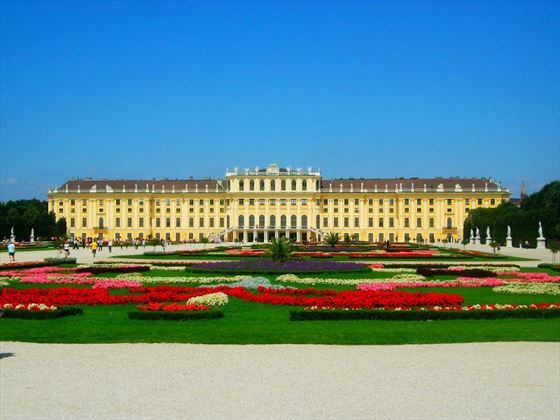 Your tour begins in the elegant Austrian capital of Vienna. Join your fellow travellers for a welcome dinner with regional dishes, locally produced wine and fun entertainment in the pretty wine-making village of Grinzing. Discover Vienna with a locally guided tour showcasing the city’s landmarks. 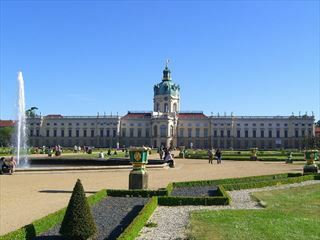 You will visit the spectacular Schoenbrunn Palace and see the impressive St Stephen’s Cathedral. In the afternoon you have free time to explore the picturesque streets, visit one of the excellent museums or relax in a traditional café. 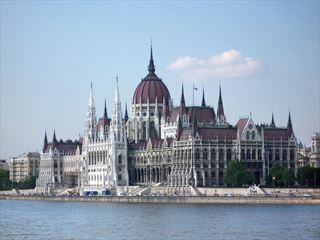 Take a short journey through the countryside to the banks of the Danube River where you will take a lovely river cruise. Admire the quaint villages and scenic vineyards as you glide past. 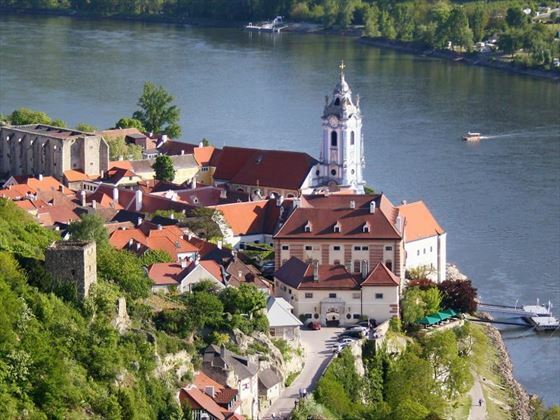 Later visit the splendid Melk Abbey, this breath-taking cathedral dates back to the 11th century. 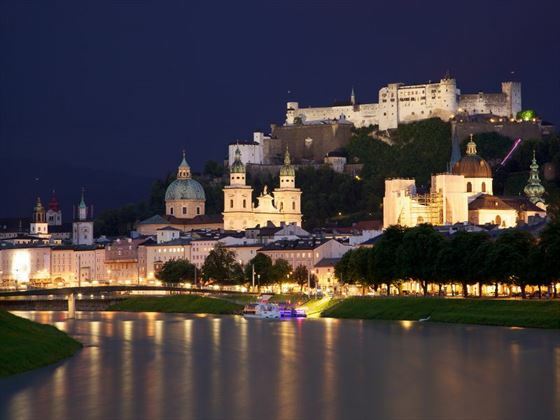 Continue to the musical city of Salzburg, where you will spend the evening in the oldest restaurant in Europe – St Peter’s Restaurant, which is 1200 years old. Take a leisurely walking talking of home town of both Mozart and “The Sound of Music”, seeing highlights such as the Mirabell Gardens and the Getredidegasse - the birthplace of Mozart. Enjoy an afternoon at leisure to explore the Old Town where you can visit ancient churches, browse traditional shops and relax in a quaint café. Travel to Germany and visit the fascinating city of Munich. 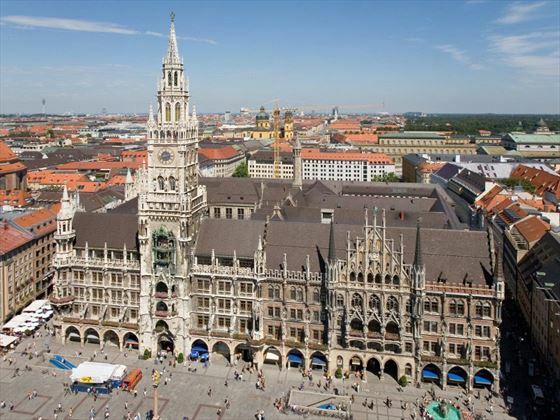 Enjoy a city tour highlighting the Olympic Park, the famous Glockenspiel and Marienplatz – a beautiful square filled with shops, cafes and restaurants. Continue through the Bavarian region of Germany to the intriguing and picturesque village of Oberammergau where you will be staying for the next two nights. This evening, enjoy a traditional dinner and a visit from local entertainers from this village famous for its Passion Play – performed every ten years to fulfil a pledge made by the villagers to God in 1633 to save them from the plague. 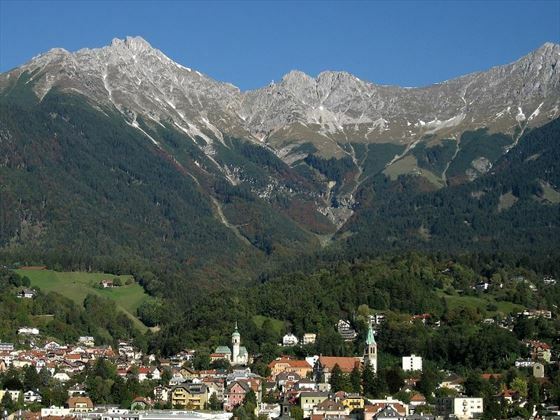 Journey through the spectacular Bavarian Alps to the charming city of Innsbruck nestling in the Tyrol region of Austria. Enjoy a locally guided tour through the picturesque streets and see landmarks such as the iconic Golden Roof and the Imperial Palace (the Hofburg). 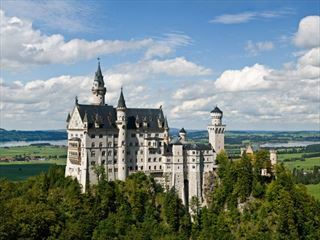 Today you will visit the fairy tale castle of Neuschwanstein, built by Kind Ludwig II in the romantic style as an homage to Wagner. 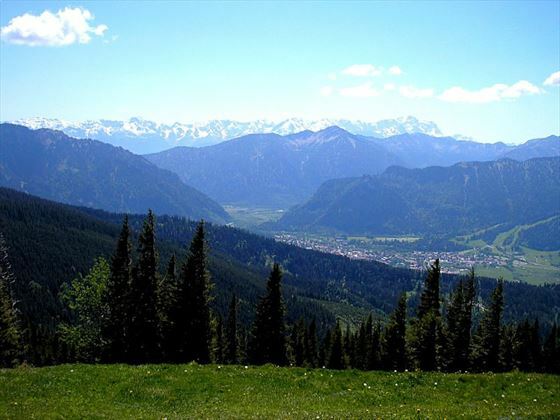 Continue to the beautiful Black Forest – a region famous for artisanal cuckoo clocks and wood carvings. 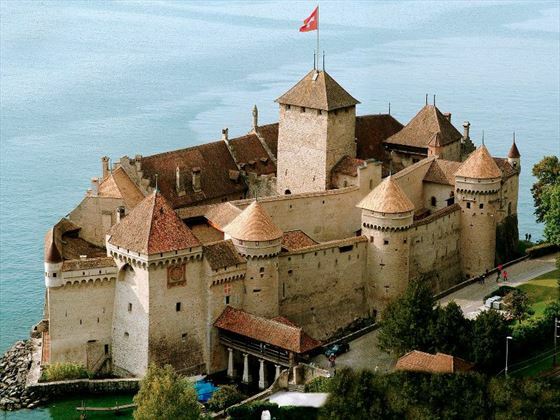 Travel into Switzerland, and pause at the stunning Chateau de Chillon on Lake Geneva. Later enjoy a train ride on board the Matterhorn Gottard Bahn from Tasch to the alpine resort of Zermatt where you will be spending the next two nights. Orientate yourself with a short guided tour of Zermatt, then you have the rest of the day at leisure. The centre of this lovely village is car-free and filled with traditional wooden chalets. 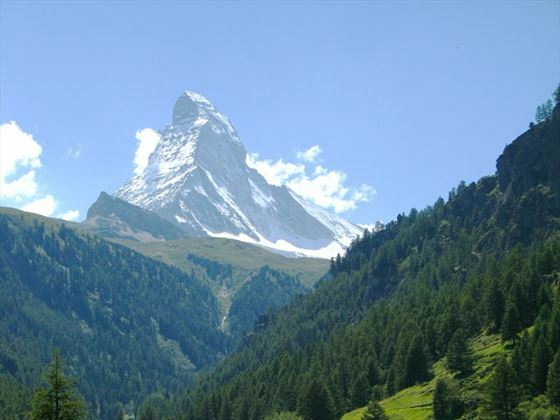 You may enjoy a ride in a horse-drawn carriage or hike to get a closer look at the mighty Matterhorn mountain which rises above the village. There are many delightful cafes and restaurants and you may choose to relax over a local speciality such as raclette, followed by slice of strudel. Travel through the spectacular scenery of the Grimsel Pass, seeing awe-inspiring vistas of rivers, glaciers and snow-capped mountains. Continue to your final destination of the tour – the picturesque lake-side city of Lucerne. Enjoy a scenic walking tour of the picture-perfect old town, taking in highlights such as Chapel Bridge – the oldest wooden covered bridge in Europe. The rest of the day is yours to enjoy at leisure and explore the lovely sights of Lucerne. This evening you will come together with your fellow travellers for a farewell dinner featuring a traditional cheese fondue.